Many new, small businesses have a relatively small advertising budget (and a small budget in general), and this can be a problem when you want to ensure that your message reaches as many people as possible. Don’t worry though; it’s possible to advertise on a small budget and still get the sales and interest that you need. Here are some ways to do it. Including a blog on your website that is full of informative, interesting content is a great way to make your message spread more easily. It is even better if you can use this content on your business Facebook page, or link to it through Twitter, for example. Make it easy to share (and make people want to share it!) and you will find even more people get to know about your business. If you want to make the reach even further, you can pay to boost your advert or post, but this is not always necessary. Just like when you decide to use the Ichimoku Cloud Strategy in trading, you need to weigh up all the pros and cons and only spend what you can afford. If you have video content on your site, this can work exceptionally well in terms of your advertising. It doesn’t have to cost a lot, there are plenty of free editing apps available, for example. However, when done right, it can let your potential customers know a lot more about you. Giving your business the personal touch can make a big difference when someone is trying to decide whether to use you or not. Videos can also help to explain your products further, which is another way to help someone make an important purchasing decision. You can position yourself as an expert in your field this way. Networking can be free, or you may have to pay a small amount to cover food and drink, or venue hire, for example. Either way, the returns you make on this investment can be impressive. Networking is all about speaking to as many people as possible, telling them about yourself and your business, and listening to what they have to say as well. You may find new customers or suppliers, or you may gain useful information about the area or your sector. You can use all of this information and the contacts you make through networking to determine what your marketing strategy should be, for example. Word of mouth is the best advertising you can get since all you have to do is give good customer service and provide a great quality product, which is what you are doing anyway. To make things even better for your customers and to increase your chances of getting referrals, you can create a customer loyalty card. 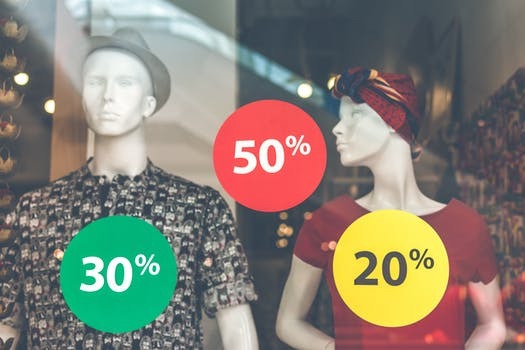 You might give your customers a percentage off or a free gift once they have bought from you a certain number of times, for example. There are many ways to do this, but they all make you better in your customers’ eyes, and they are more likely to tell others about you.